On Friday 8th February Woodlands Park welcomed three schools from our Collaborative Learning Group Mish Mash. 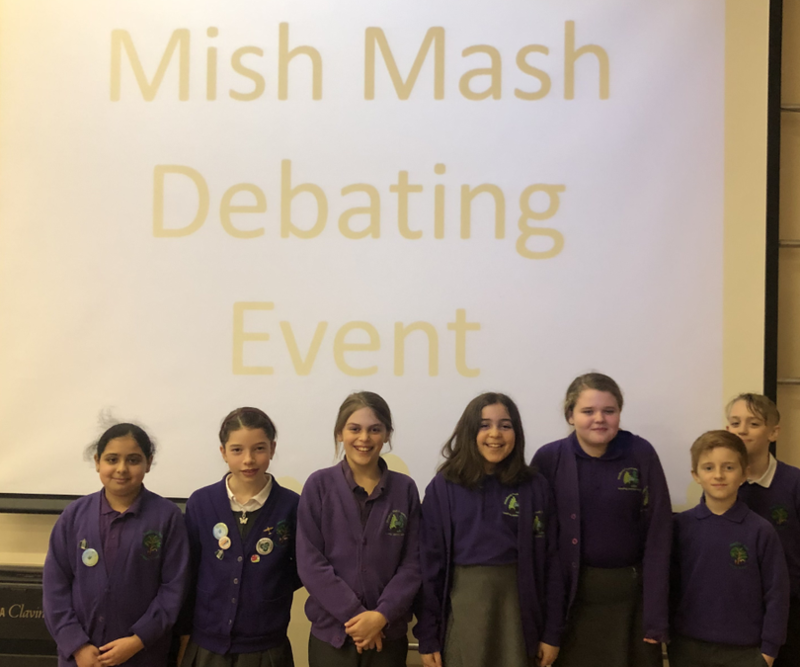 The children came together to take part in a debating competition. The teams proposed and opposed different topics including: 'Zoos should be banned' and 'Uniform should be banned'. the audience were then asked to vote on which was the most persuasive argument. It was an interesting morning and we had two 'landslide victories' and two quite close results.